A Camp For Each Season! 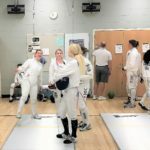 Located in the beautiful Fresh Pond of Cambridge, a short drive from downtown Boston, Olympia Fencing Center offers seasonal camps during all schools vacations, for beginners or advanced fencers. 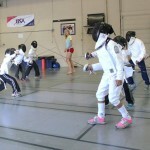 Olympia is the regional premier choice for foreign fencers who travel for vacation, work or study. Over the years we welcomed students from Italy, Hungary, China, Romania, Qatar, France, Egypt, Korea and many other countries, we made friends and continue to stay in touch on social media or whenever we travel to competitions. 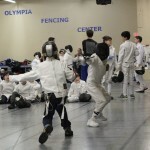 Olympia Fencing Center offers camps and epee and foil clinics, for all ages and skill level. 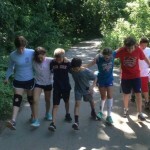 Co-ed camp, designed for children ages 8- 12, with little or no fencing experience. 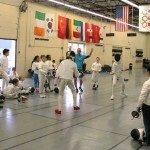 The campers will learn about the Olympic sport of fencing in a fun and safe environment. Our large facility includes 15 electrical fencing strips, changing rooms, view area for parents, homework station, kitchen space (fridge, coffee maker), AC. All fencing equipment is provided. Our experienced coaches will teach you to hold a sword and the tricks of the first touch! All our coaches are United States Fencing Association professional members, CORI verified, with extensive experience working with children. • Lunch pack, two snacks (we encourage fruits), water bottle. We have a fairly large fridge that kids can use, make sure your lunch is marked up with your child’s name. • Shorts, athletic pants, sneakers. Long pants are mandatory during bouting, shorts can be worn for stretching, footwork and games. • Your happy face! 😆 Frowns are not allowed in the club – we’ll make sure that won’t happen! A non-refundable registration fee, which will be included in your total payment, is required to reserve your spot. The fee can be mailed to our address (127 Smith Pl., Cambridge, MA, 02138) or submitted via PayPal. Registration Forms and Medical Release are required on your first day, and can be downloaded from our camp’s page here. 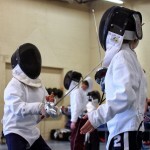 Our club offers camps and clinics for epee and foil, for all ages and skill levels. Competitive fencers will receive the highest- quality fencing training, lead by coaches Daniel Hondor, Shuang Meng and Kai Zhao, experienced and internationally recognized coaches. 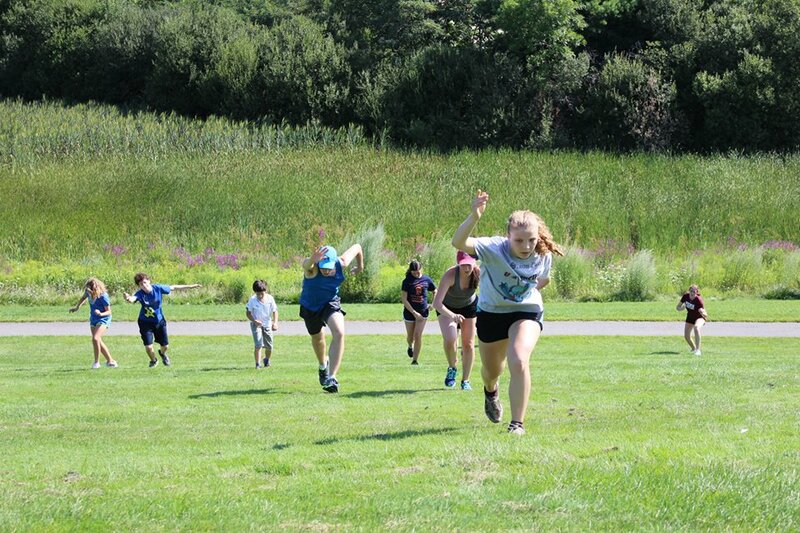 Weather permitting, the daily schedule starts with a morning run to the close by Fresh Pond or Danehy Field, warming up and conditioning, followed by drills, target practice, tactical bouting and individual training, for a total body workout. The day will end with video discussion and customized exercise planning. A minimum of three days are required although, being a progressive training camp, we strongly encourage the least one week. Registration is usually open on askfred.net starting with January. 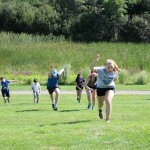 9:30 – 10:30 Welcome, warmup, footwork, plyometrics. 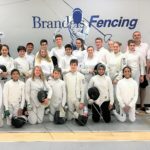 The camp is épée exclusively and is geared toward competitive fencers, ages 14 and up, to advance their training and bring them close to their goals. 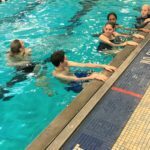 Group and individual physical and tactical instruction is provided by Olympia’s coaches and special guests. 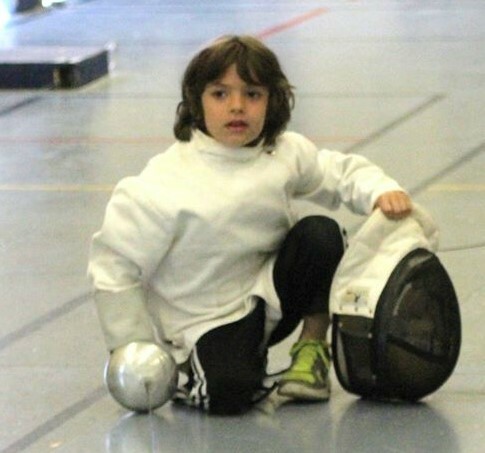 Advanced fencers under 15 can sign up for the day camp only, with a reduced fee. Where: Brandeis University, Gosman Athletic Center. Registration is now open on askfred.net, only 50 spots available and filling up quick! We strongly recommend parents of those that need prescription or over the counter medication to administer them to the children prior to coming to camp. We will not accept any sort of medication on the club grounds (inhalers are ok). Let us know if your child has any allergies – we take your child safety seriously. 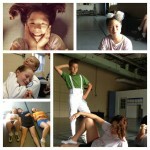 One Response to A Camp For Each Season!